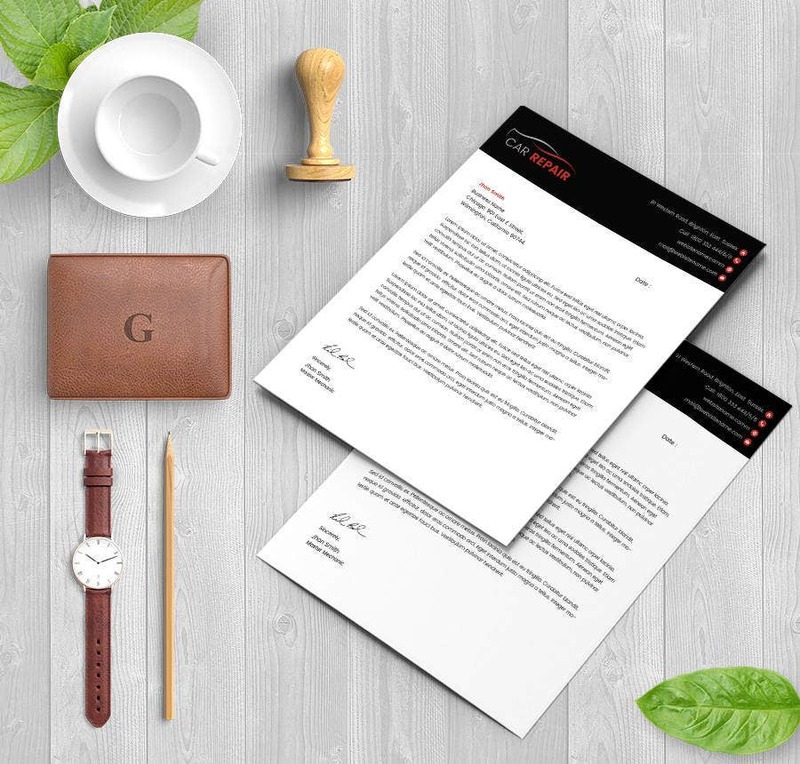 A letter head defines a company’s brand image as it represents the company and renders it’s first impression to it’s potential customers and prospective clients. Hence, it is imperative for a letterhead to look professional, compact and proficient. 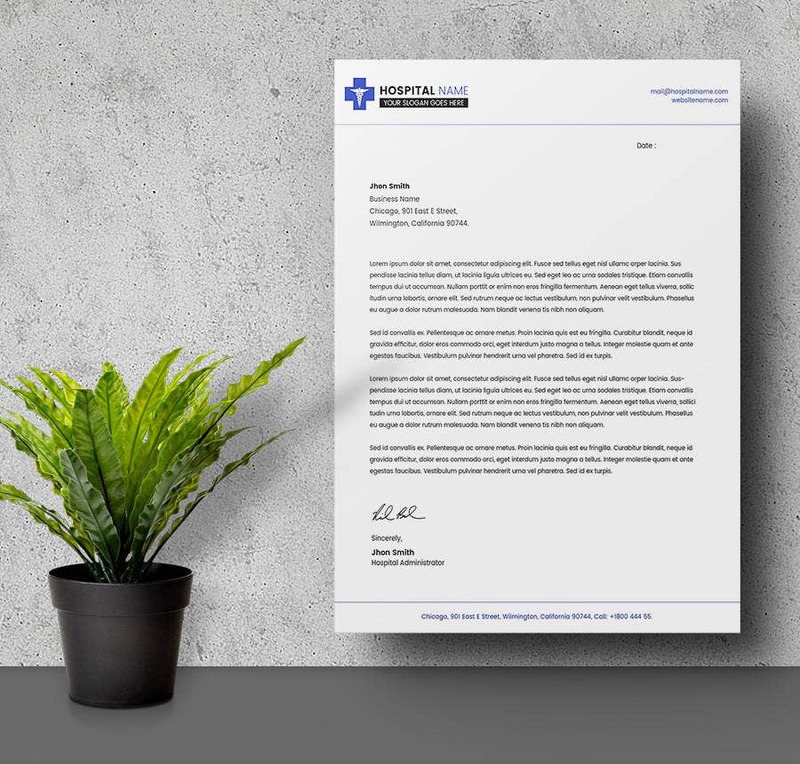 Instead of making frequent appointments with the graphic designer, you can now create professional letter heads templates for your company using the free templates available for download below. These professionally designed formats with their interesting choice of layouts, colors and smooth consistency ensure that you get the best of expert finished letter heads without having to depend on anyone else for assistance. Children are the most innocent and simplest of beings. 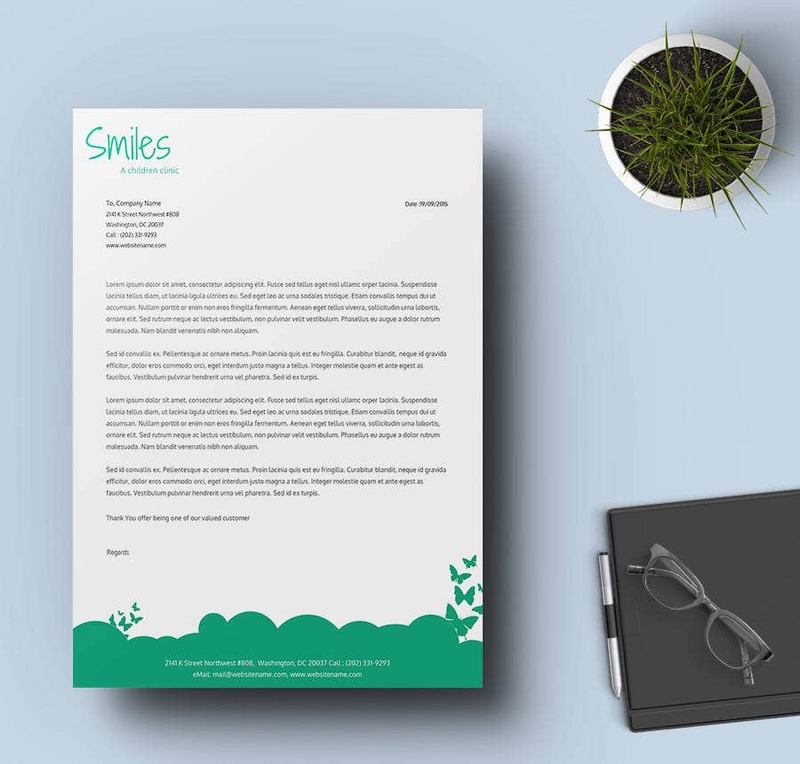 Therefore, this template is an ideal example of a letter head of a children’s clinic with minimal designs and font. The uncomplicated header makes for a great brand image. 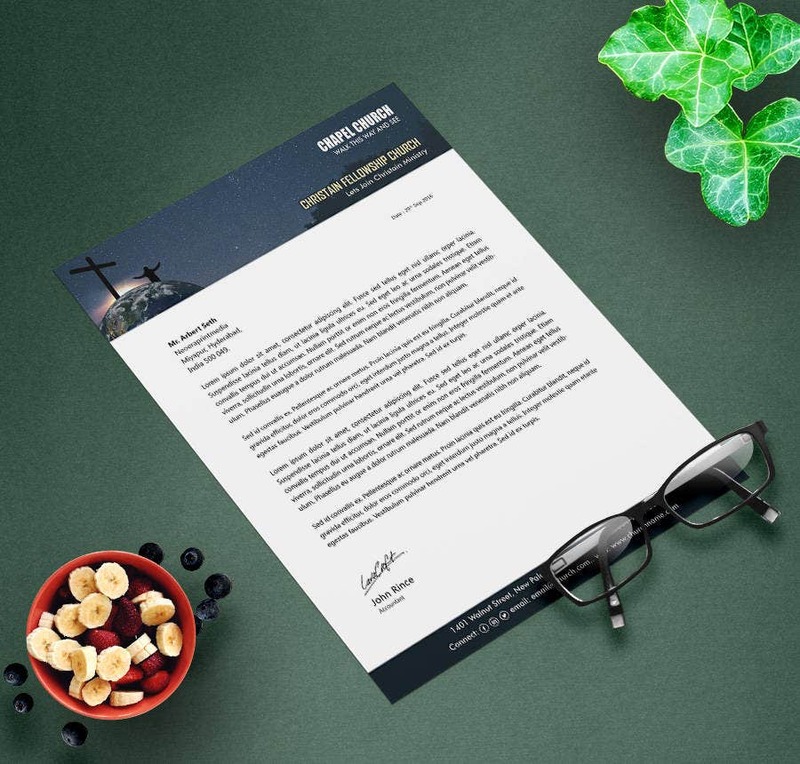 A well designed letterhead for the church can convey it’s commitment in serving God and the fellow members of the church. Therefore, such documents not only need to be professional but aesthetically pleasing at the same time. The letterhead of a medical prescription or a statement can speak volumes about it’s credibility in serving it’s patients. This document is such a simply designed letter head which can be used by hospitals and clinics alike. For owners and stake holders of computer repairing enterprises, the below fuss free simple editable document can serve as an ideal letter head to correspond with new and old customers and clients. 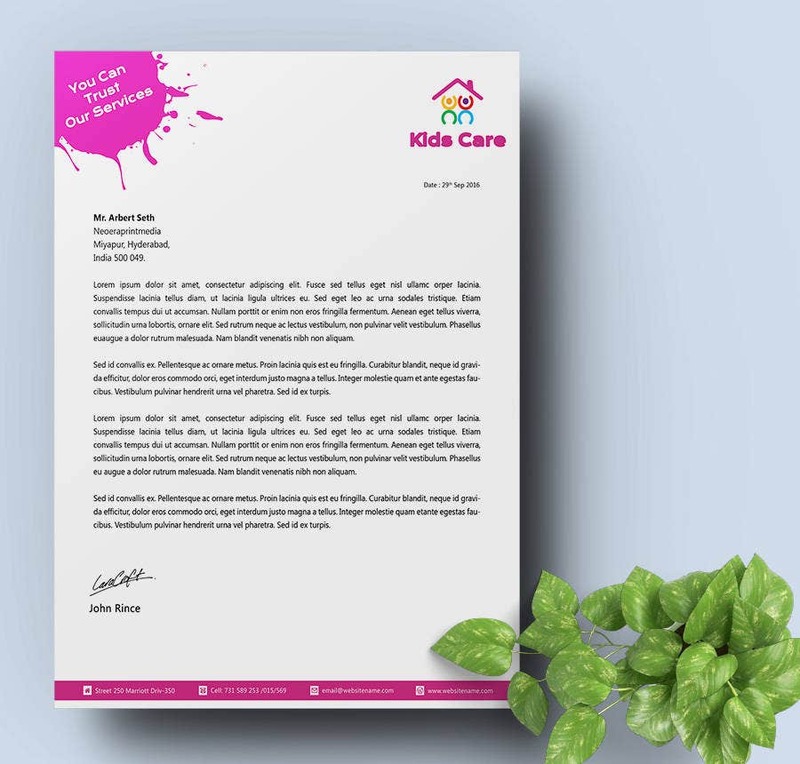 The daycare letter head template is a smart combination of bright and peppy colors and renders an extensive space to format your subject amidst the header and the footer. Alongside, there is space to insert your logo. 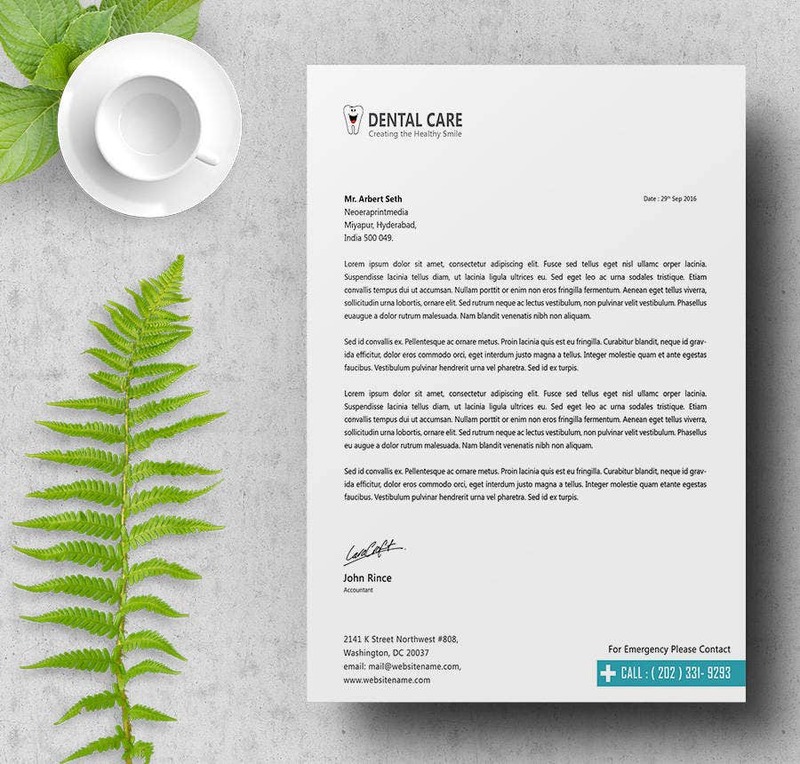 Using the below dental care template will ensure that as a dentist or on behalf of a dental clinic, you are able to establish a seamless marketing strategy to earn more customer favors. With a profound corporate design and a careful placement of the logo of your enterprise such as the template below, you can strike a deal by displaying expertise and professionalism simply by customizing and editing this document to suit your business needs. Corresponding through a well designed letterhead can speak volumes about your commitment towards the education industry. With the below template, you can duly strengthen your education brand’s image and create your identity in the field of education. Corresponding through written and printed business letters is still an important part of numerous business communications. 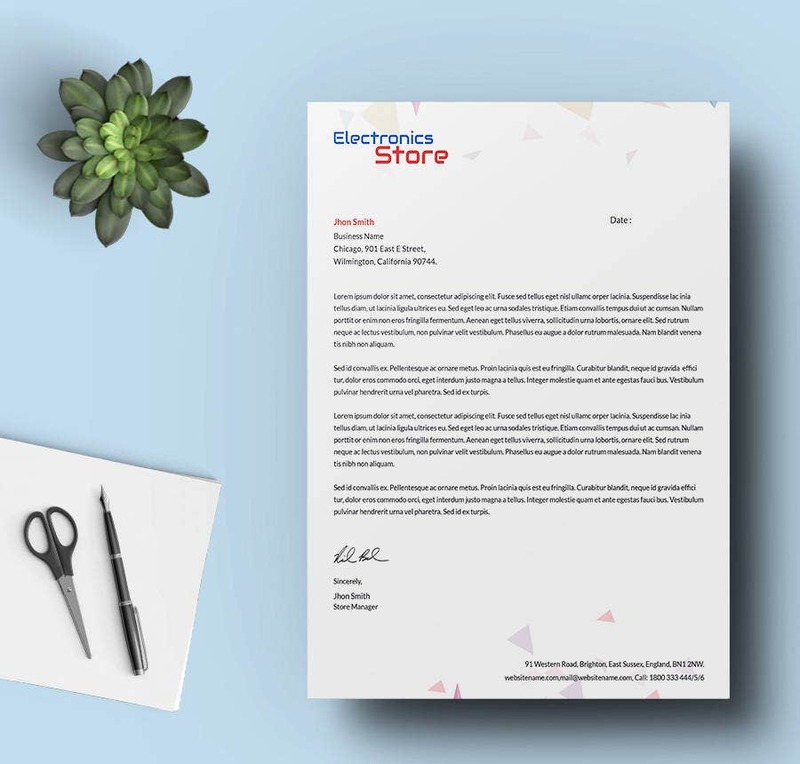 The electronics store letterhead template is an ideal example of such a document which you can customize to bring about an important addition to your business strategy. This energy environment template has a structured minimal design with a vertical margin and transparent header and footer with simplified fonts. Apart from an energy environment business, you can use this universal design to suit your business communication for other ventures too. A transparent header with a dark tapered footer makes this template an ideal piece of document to make business communications. You can also watermark the document with your company logo. 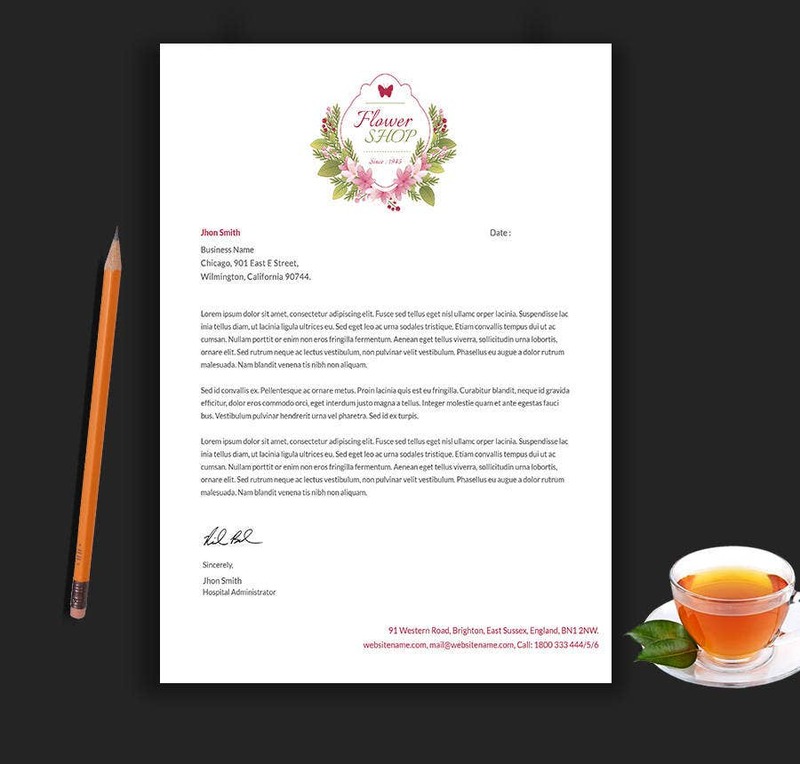 Own this artistically designed letter head for your flower shop by downloading and customizing the document and inserting your personal details to create a business letter head which is as enchanting as the flowers in your shop. An elegant choice of colors and fonts is what makes this document an excellent piece of business and marketing communication template. 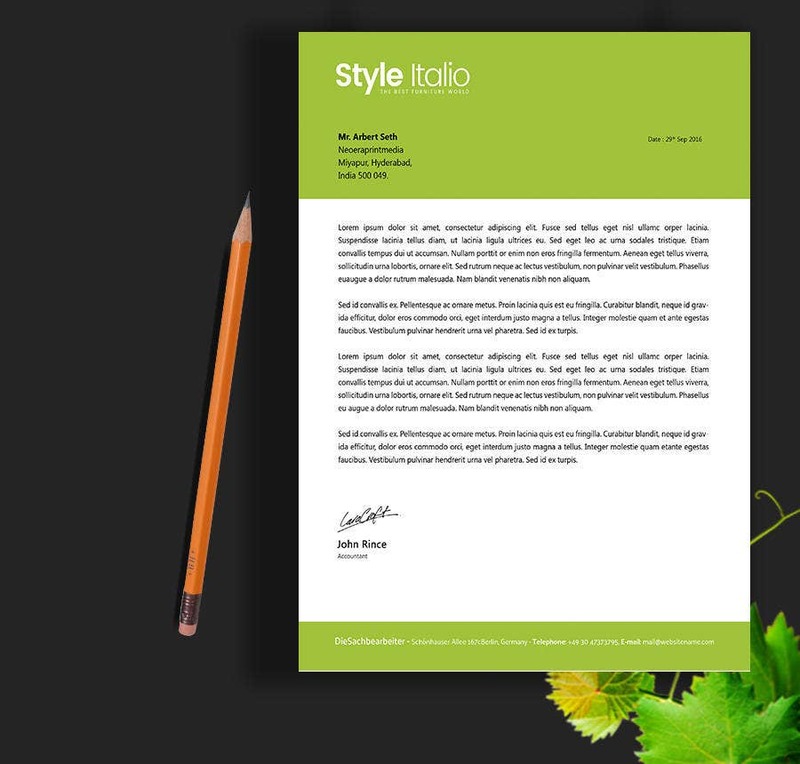 This fully editable template also renders an adequate space to write your correspondence with ease. 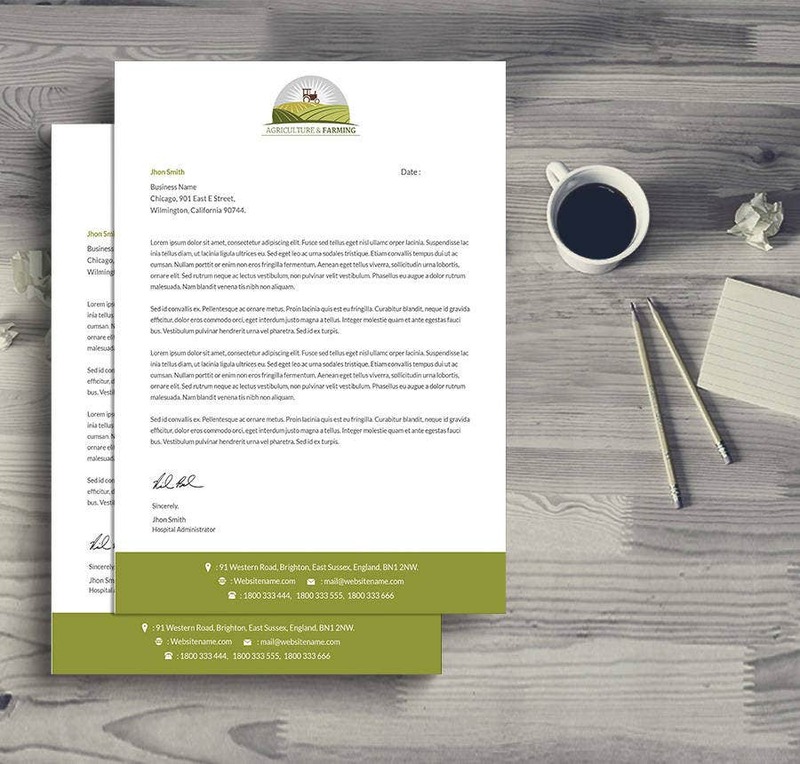 Adorned with an interesting green logo in the header and a solid colored footer, the gardening letter head template renders a top notch design and can add much value to the brand image of your business. 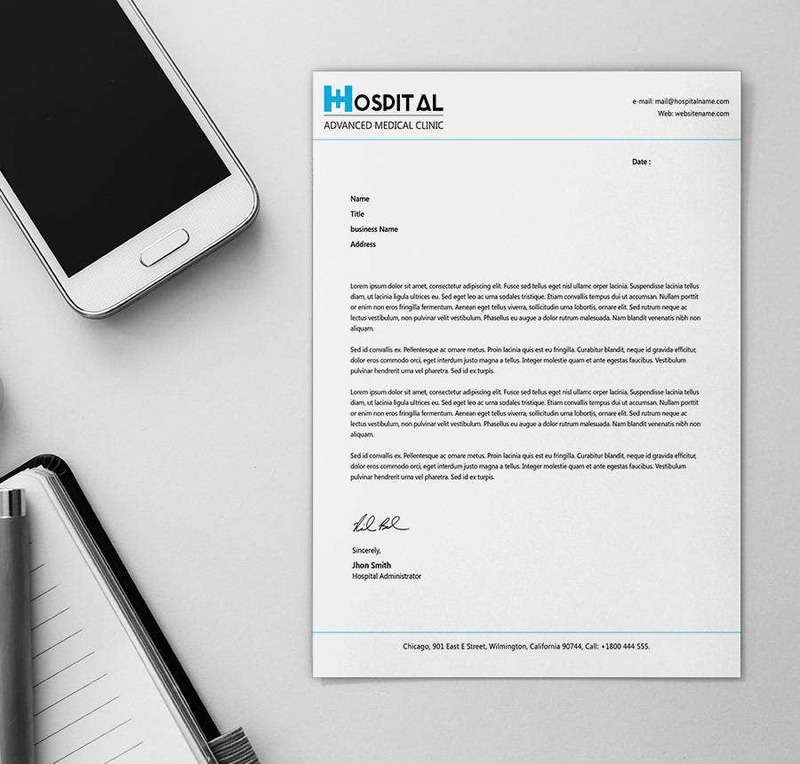 Letter heads are by far one of the most important printing business collaterals of the hospital industry and by downloading and customizing the below template, your communication medium can vouch for your credibility in the health market. 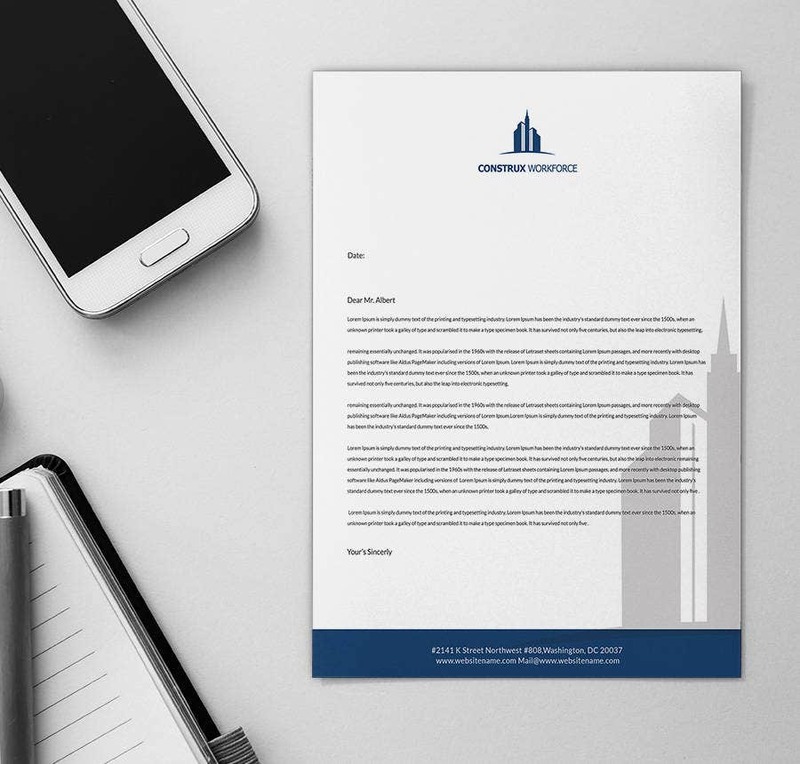 Reinforce the business image of your hotel by personalizing the Hotel Holiday letterhead template document. You can easily customize the template by replacing the data and logo with your hotel’s details and create the perfect hotel letter head. 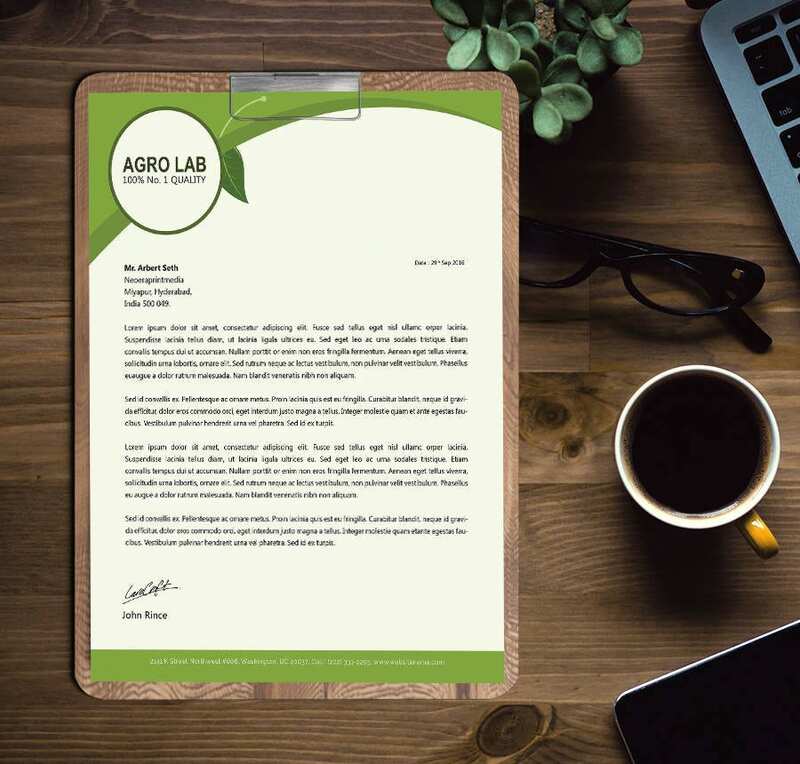 The below agriculture letter head renders a smooth textured and professionally designed letter head template especially for the myriad stake holders of the agriculture industry who are looking to take their marketing strategy a notch higher. The more professional an enterprise looks with it’s communication, the more business it will earn. With the agriculture farming template, you are sure to make an impression with your new and prospective clients and usher more customers. 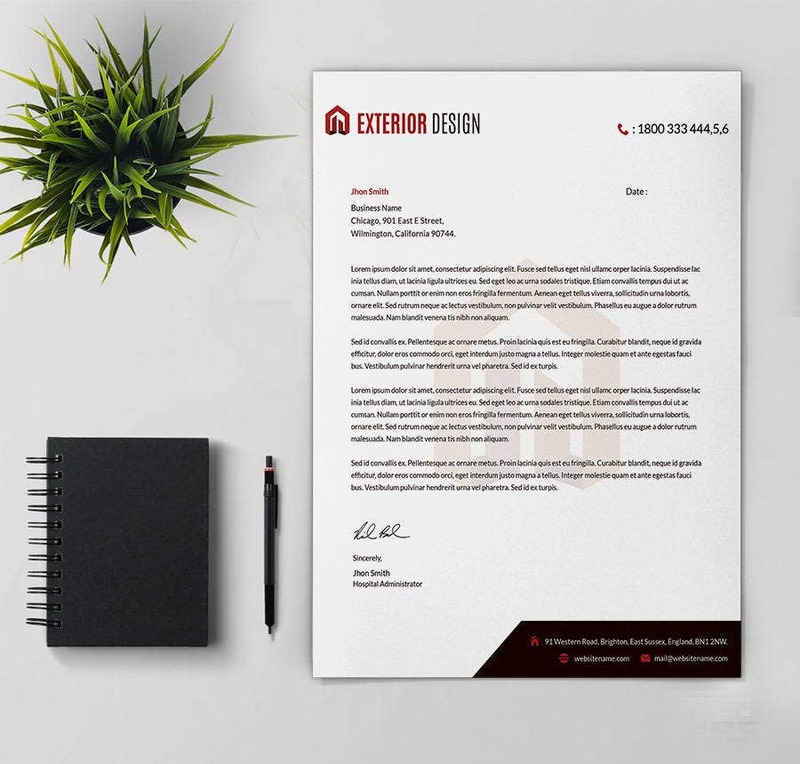 If you are an architecture or own your own architecture firm, you can download the below fully editable template to create a professionally designed letterhead with your own customized company logo. 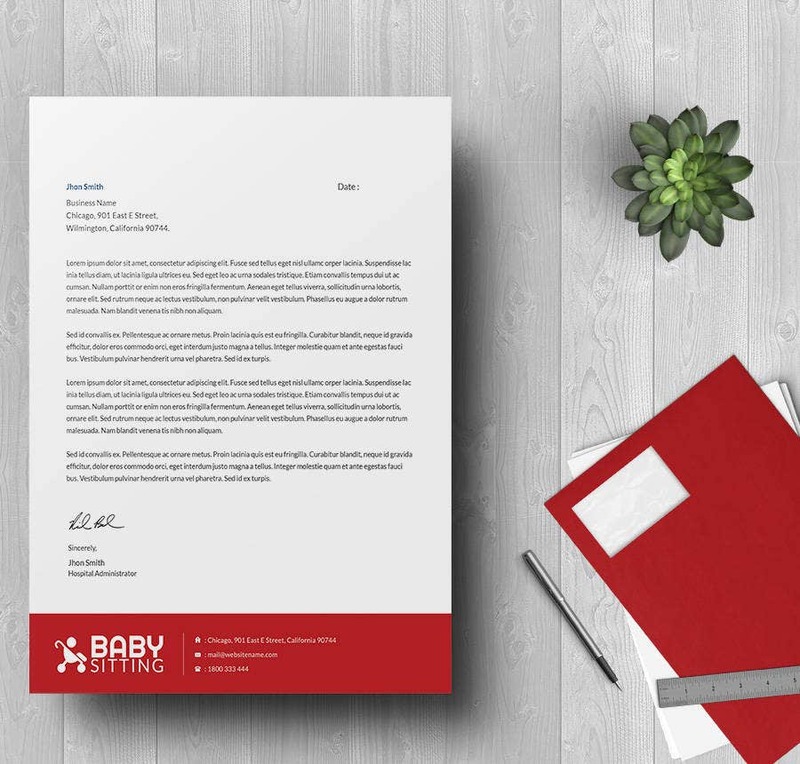 The growing need of baby sitters in the market makes it absolutely important for your enterprise to carve a niche for itself by communicating with it’s customers in a structured format in a company letterhead. The professionally designed template ensures that you can easily adopt it to make it your own in the least time possible. One look at this letter head template and your customers are sure to understand that they are communicating with a car repair company. With smart design paired with an interesting combination of black and red, this template is a keep! This car wash template is uniquely designed, is equipped with a single color and font and yet looks extremely appealing. 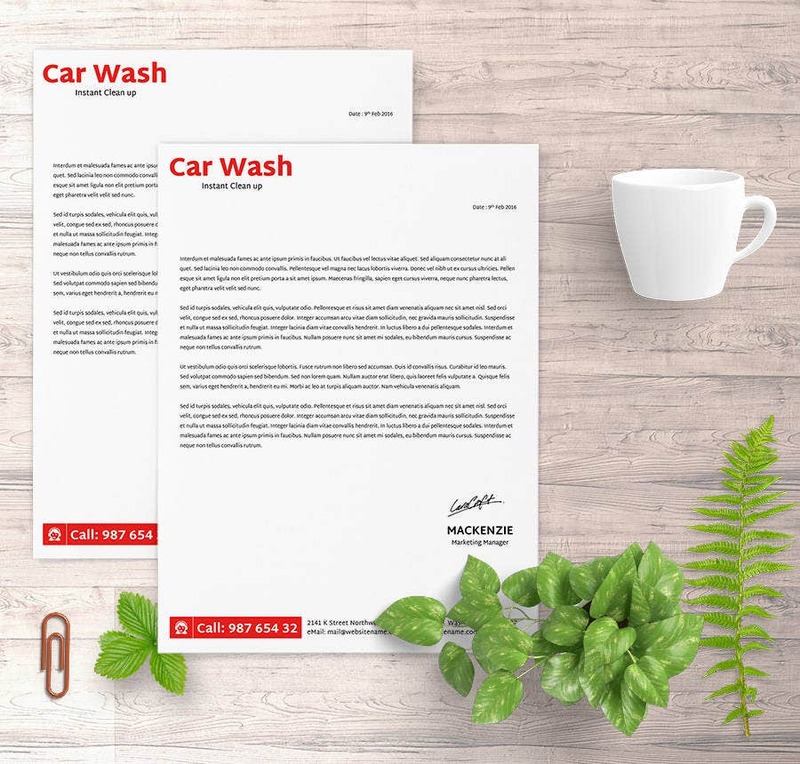 The simpleton design is what makes this fully editable document an ideal choice for your new car wash business. 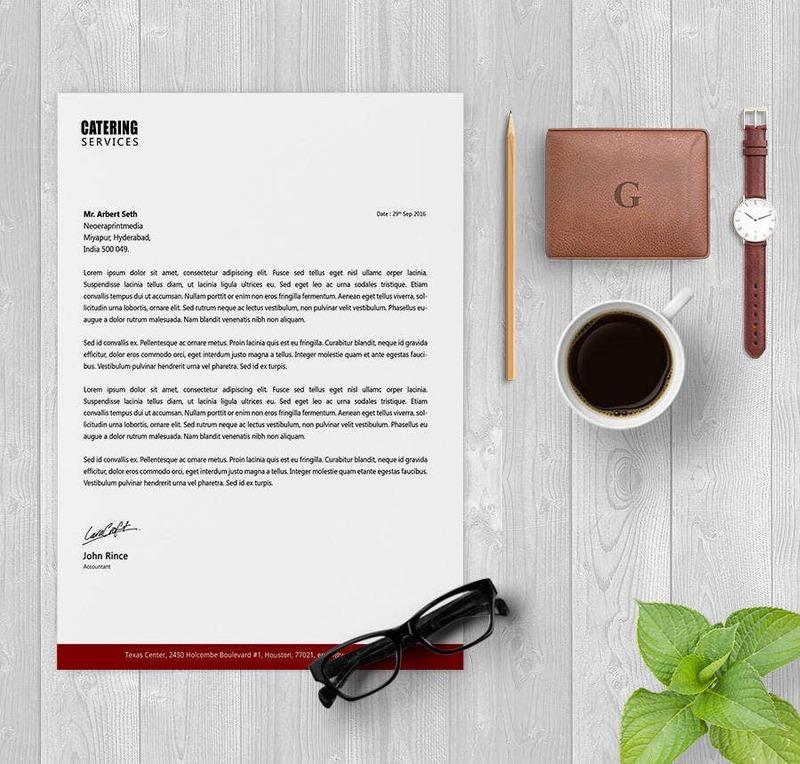 The Catering Services letter lead template is one of the simplest of catering services letterhead formats you can find. The easy to download, editable and customizable options make for an easy adaptation. 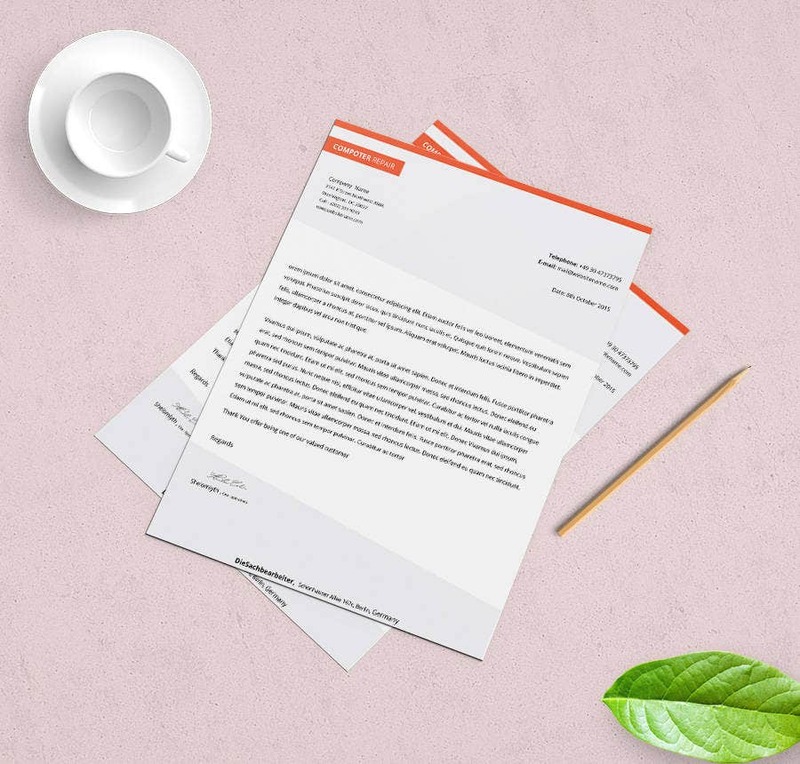 Get your charitable trust noticed by downloading, editing and customizing this charity letter head template and let your business communications speak for your dedication and commitment in the field of social work. > How to use the Letter Head Templates? 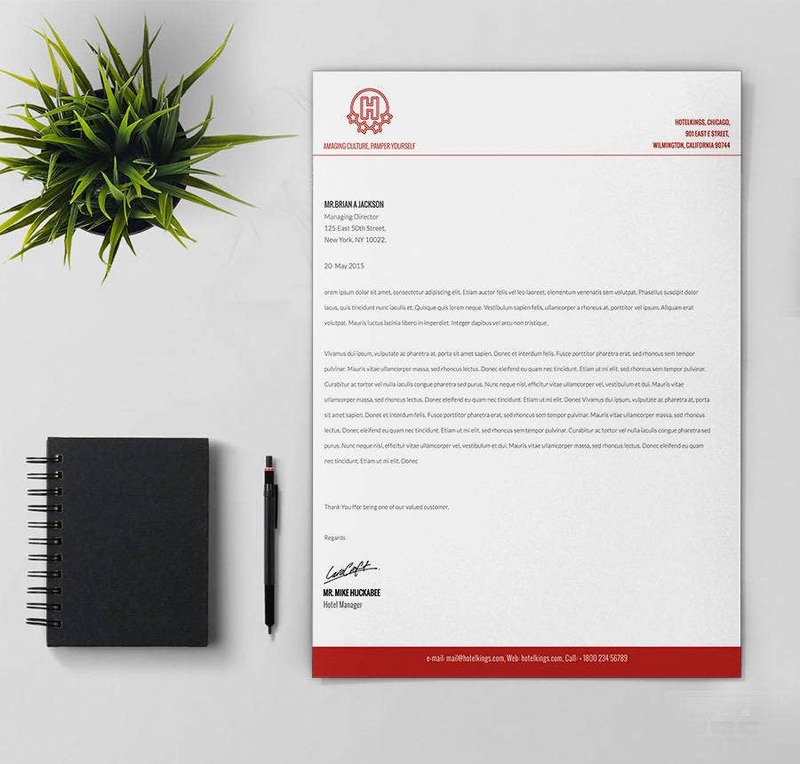 The Letterhead templates are simple editable business communication documents ideal for companies and enterprises to use them for all kinds of commercial communications. 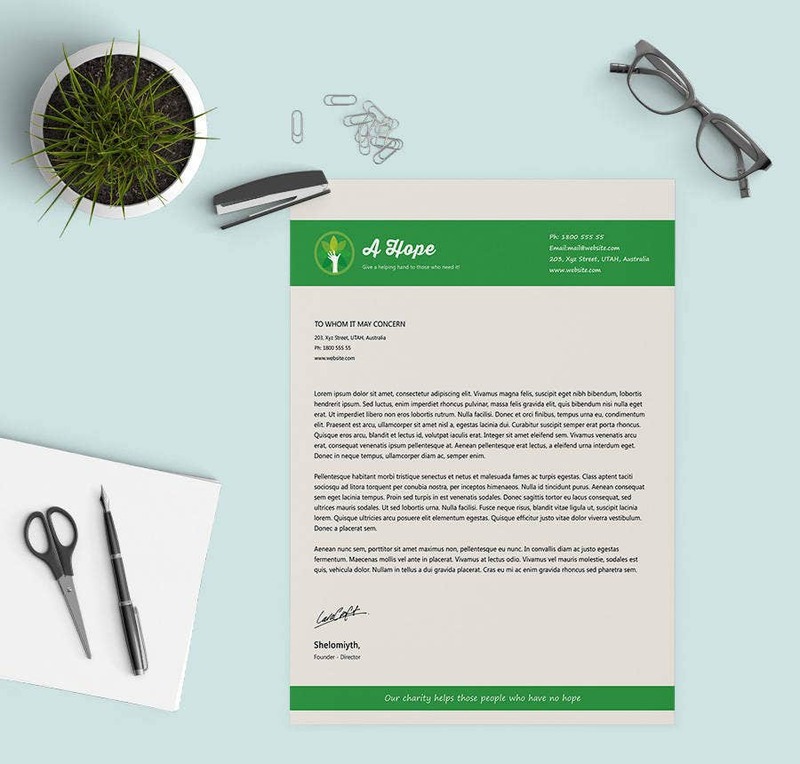 Instead of hiring a professional designer to design your company’s letter head, you can chose from an array of letter head templates attached and download the one which truly reflects your company’s brand values and business dealings. What more? The easy editable features including dedicated space for your company’s logo let you customize the documents as per your requirements and you can straightaway print them out and begin your business communications with your clients, customers and other stake holders alike. > What are the benefits of the Letter Head Templates? The letter head is often considered to be a legal document as it represents a company’s brand image and contains all the business communication made by the company to it’s client, customers, investors, stakeholders and other important individuals. 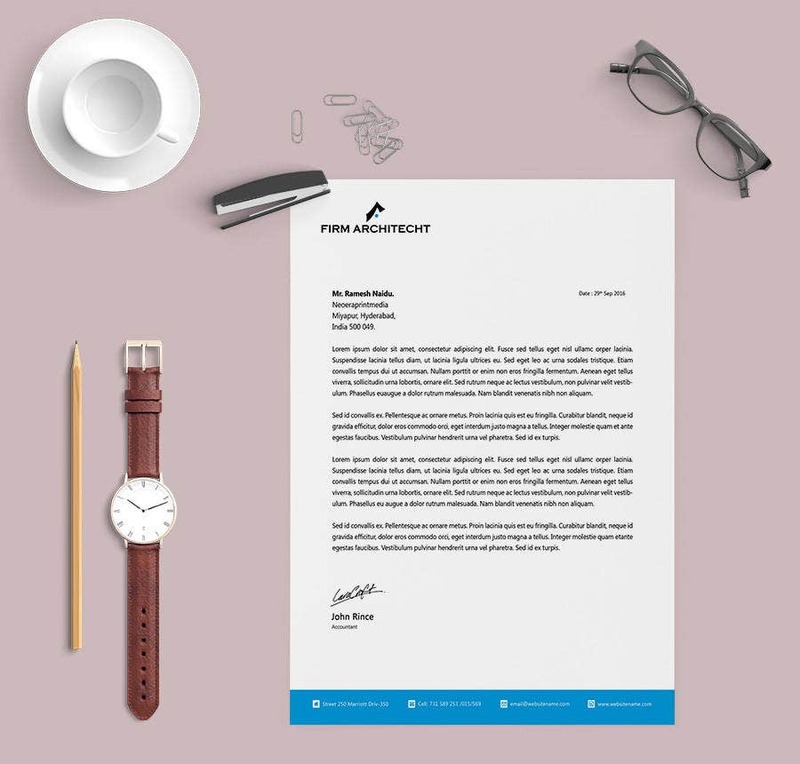 The letterhead has myriad usabilities – it finds importance in sending business proposals, purchase commodities, issue appointment letters, update and inform about changes, make quotations and numerous other communications. Therefore it is imperative for every business to design their own personalized letter head which is a true reflection of their brand. 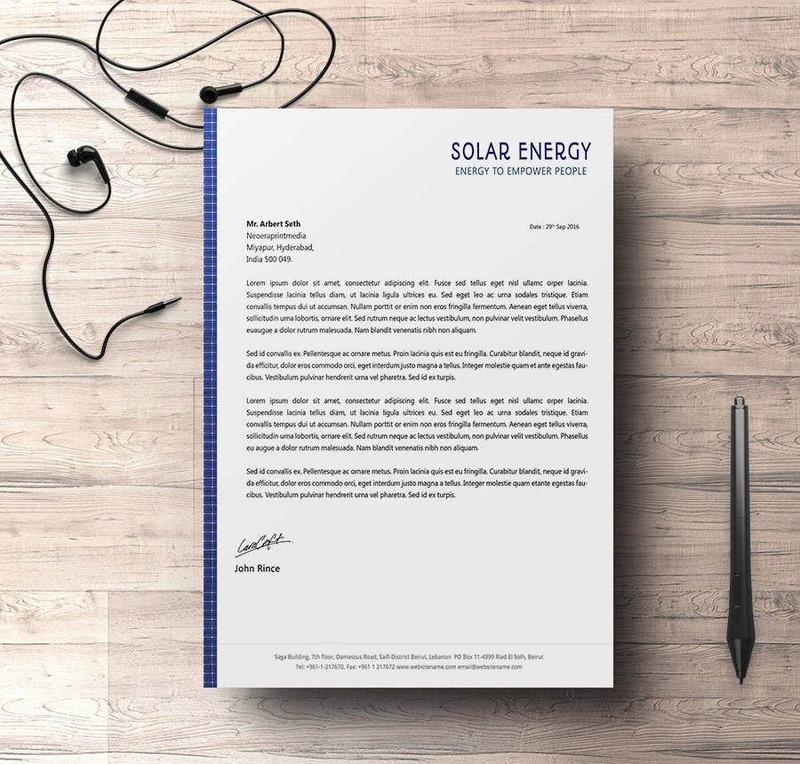 These templates can thus furnish you with such professional designs so that you find the perfect letterhead to match the needs of your business communication.